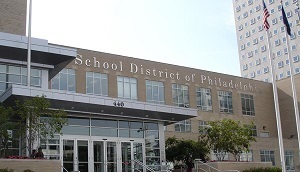 The School District of Philadelphia is the 8th largest in the U.S., encompassing a massive and complex array of assets and stakeholders. The district includes approximately 130,000 students, 300+ buildings, 1400 acres of land, and 29M ft2 of space, all maintained by approximately 1300 cleaning and building staff, 230 mechanics, and 200 Building Engineers. The district is also one of the country’s oldest, with an average building age of 67 years old, including many buildings whose lifespan began over a century ago, with systems of varying ages. In 2015, outdated processes and fragmented data were creating a significant drag in operations. It was time for the school district to centralize onto a single system through which to coordinate across departments, including the maintenance, operations, capital programs, food and service, transportation, and environmental departments. The goal was to have a single source of data where all stakeholders could work with the same clean data to track the history, needs, workflow, and resources of the school district’s many assets. By streamlining operations through a single repository of data, the School District of Philadelphia hoped to employ smarter and leaner strategies for meeting its goals. Before ARCHIBUS, maintenance work orders were delegated by phone-call, and there was an 8-month backlog in entering data into the system. This resulted in an arduous process for tracking how time and money were spent. 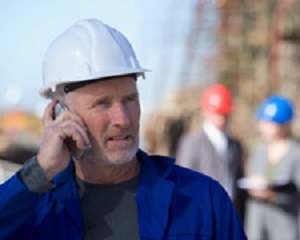 The decision was made to purchase mobile phones for every engineer and mechanic, and manage work orders through the ARCHIBUS Mobile Framework. Staff could now report needs and self-assign tasks directly from the field, as well as track asset histories. Principals and teachers were also given access to input and track work orders in the system, connecting educators to maintenance staff. For administrators, this system provided a top-down view of maintenance work where they could track costs, workflow, asset condition, and resource allocation, moving from a reactive maintenance strategy to a confident, informed, and proactive approach. Today, between 50,000 and 60,000 work orders a year are now sent electronically. Schools in Philadelphia are more than centers of learning – they are anchors for the community. Facilities and spaces are often used for extracurricular activities like sports, afterschool programs, and church programs, all of which require staff, cleanup, insurance, and coordination. This whole process now happens seamlessly on ARCHIBUS. The decision was made to adapt a public-facing solution, where external groups can directly use the system to reserve space, confirm availability, and receive approval from stakeholders like principals and relevant staff. In this way, the school district has turned its facilities into a uniquely responsive and accessible public platform. Accurate tracking of resources, needs, and progress. More effectively able to address community and student needs. 50,000 – 60,000 work orders are now sent to crafts persons electronically. Going forward, the School District of Philadelphia is looking forward to digitizing the drawings and floorplans of its many buildings, and integrating them into ARCHIBUS. The School District is continuing its pursuit of building a central repository for all data. ARCHIBUS is the global leader in streamlining how you manage your real estate, infrastructure, and facilities. Centralize your data, planning and operations onto one seamless digital platform backed by 35 years of innovation and the world’s largest support network. Reduce costs, enhance sustainability, and create a better workplace by transforming how you connect with people, places, and processes. Read more success stories. * This article is written by ARCHIBUS; FMLink is not responsible for the accuracy of its content. Should anyone wish to contact FMLink regarding any article, please e-mail FMLink at support@fmlink.com. Contact information for each organization is provided inside each paper and in the Contact All Providers section under ARTICLES.